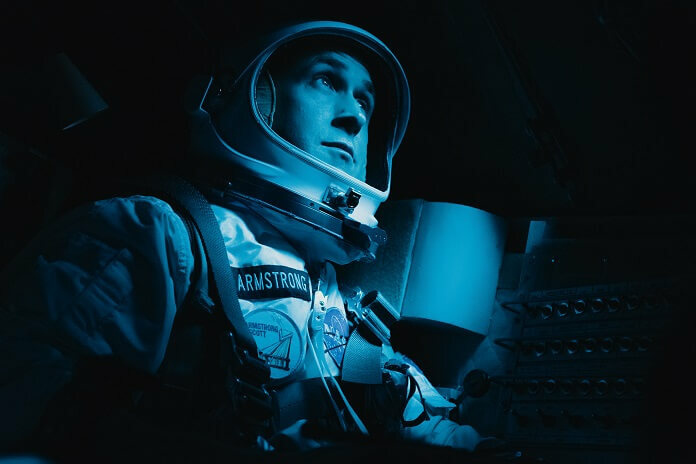 The dangers of striving to put a man on the Moon take center stage in the new trailer for the dramatic film, First Man, based on a true story. The new two-minute trailer follows Ryan Gosling as astronaut Neil Armstrong as he prepares for his flight aboard Apollo 11. In addition to two-time Oscar nominee Ryan Gosling (Half Nelson, La La Land), the cast includes Claire Foy (the upcoming The Girl in the Spider’s Web, The Crown), Jason Clarke (Dawn of the Planet of the Apes), Kyle Chandler (Manchester by the Sea), Patrick Fugit (Full Circle), and Ciaran Hinds (The Terror, Game of Thrones). Ethan Embry (Grace and Frankie), Shea Whigham (Fargo, Boardwalk Empire), Corey Stoll (The Strain), and Pablo Schreiber (American Gods, Orange is the New Black) also star in the film which chronicles astronaut Neil Armstrong’s mission to the moon. La La Land‘s Damien Chazelle directed from a script by Academy Award® winner Josh Singer (Spotlight, The Post). Temple Hill Entertainment’s Wyck Godfrey and Marty Bowen (The Twilight Saga, The Fault in Our Stars) produced along with Isaac Klausner (Love, Simon) and director Chazelle. Steven Spielberg, Adam Merims and screenwriter Singer served as executive producers. Universal Pictures will open First Man in theaters and IMAX on October 12, 2018.